MADISON, Wis. (AP) — A gunman who opened fire at a Wisconsin software company never talked and never smiled, a former co-worker said. 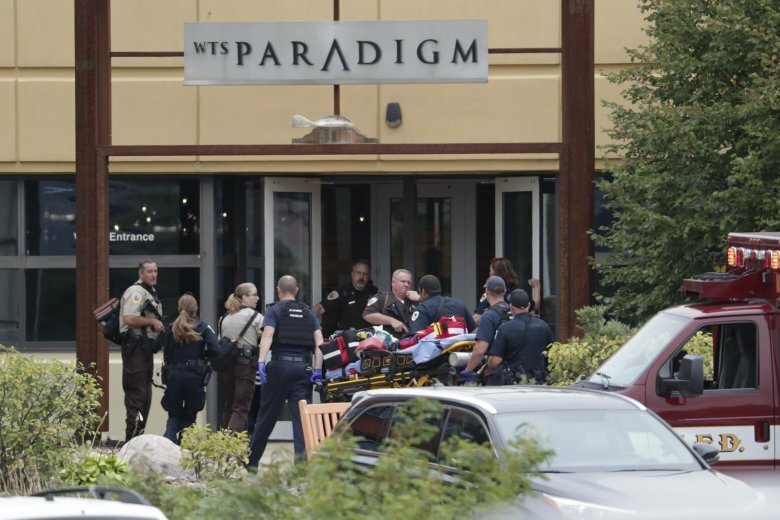 WTS Paradigm employee Anthony Tong shot four co-workers at the company’s Middleton headquarters Wednesday before police stormed the building and killed him. All the employees survived their wounds, including one woman whom Tong shot 10 times. The 43-year-old gunman’s motive remains a mystery. State Department of Justice spokeswoman Rebecca Ballweg and Middleton Police Chief Chuck Foulke didn’t immediately return messages from The Associated Press on Monday morning. Isaac Hall told the Wisconsin State Journal newspaper for Monday’s editions that he left WTS Paradigm for a new job a week before the shooting. Hall said Tong never spoke to anyone and never smiled. Hall said he worked about three cubicles from Tong. Several times when Hall looked over at him, Tong stared back. Former Madison Alderman Chris Schmidt told the newspaper that he was in the physics program with Tong at Lawrence University in the mid-1990s. He remembered Tong studied often in the library and was interested in computers. Court documents filed in South Dakota show a judge revoked Tong’s concealed carry permit in 2004 after Tong told Sioux Falls police that he had disabled electronic appliances including the fire alarm at his apartment because he thought his neighbors were spying on him. Officers took him to a hospital’s mental health unit on a 24-hour hold. Police discovered a cache of gun parts and ammunition in Tong’s Madison home following the shootings.